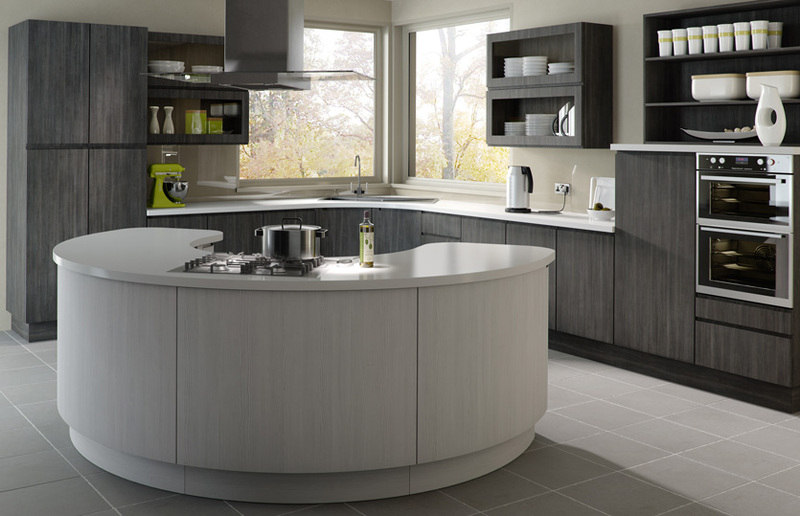 Look no further than the 18mm thick Handleless Europe cupboard door for the super-league of kitchens. Avola grey and white give solidity and structure to the virile forms. 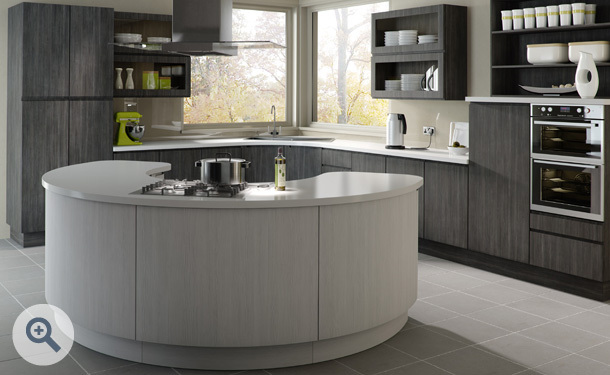 A centrepiece of design form and function, the curved island unit demonstrates ergonomics at their very best. Solidly designed storage and display shelving give ruggedness to the overall look. Handleless Europe kitchen doors start from only £7.69. Click the button to request a free large sample swatch of Avola Grey and Avola White. Click the button to purchase a Sample Handleless Europe design door in the Avola Grey and Avola White finish.